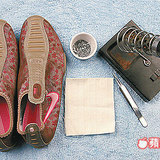 Clothing accessories paste Synthetic diamonds tips open to the public - Hwatien Enterprise CO.,LTD. Glitter Bling Bling wind blowing all the way from the hip-hop world society, such as Sun Yun-yun and other ladies will also make myself the shiny shiny. 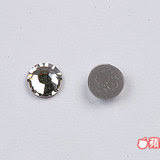 In fact, commercially available diamond paste DIY materials, people can make their own, the diamond imitations attached to the clothes, accessories, mobile phone. 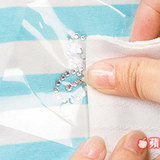 Clothing plastic gems paste using a diamond imitations, drill with adhesive on the back, when heated, can be attached to the clothes or hats. 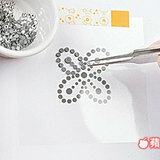 If you do not use plastic gems, flat drill can also be used, as long as the glue to glue into styrofoam. 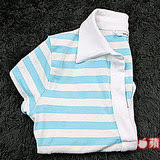 AB glue is not suitable, because it will bleed into clothing. Material: clothes, 3 and 4 mm Synthetic diamonds, clips, tapes, graphic paper, Pai drilling of paper, non-woven cotton or 2, iron. Lined Graphics: The Boring paper tear on graphics, it will stick facing up, taped paper row drilling, drilling hot color to that side of the paper toward the discharge drilling lined pattern on clothes . Shi beat hot: Do not open the iron open in high temperature steam in the exhaust hot drilling paper for about 10 to 15 seconds, the time to use the hot beat, to make drilling more robust, reusable cloth in a row drilling on paper with a beat, to tear off after the row drilling firm determination. 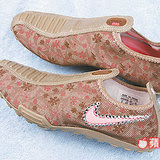 Material: shoes, diamond imitations 4 mm, clips, cotton or non-woven 2, iron. Iron heating; because a lesser extent, is not suitable for iron, if the clothing material is thin, the inner surface of the first pad cloth is recommended. Then hot plastic gems in the desired location, use 30-watt soldering iron ramps, one at 3 minutes in hot pressing directly on the plug after drilling and the like. Tips: do not recommend the use of alcohol lamp or candle, Synthetic diamonds directly heated, easy to diamond imitations around the black, though can be erased, but if drilling is scheduled to be dense, easy to wipe.